Life is hectic! There is so much I have to do today. Just thinking about it is getting me all stressed out! There are deadlines and appointments, paperwork and household chores. And, on top of it all, I have to walk the dog! My little dog is impatiently sitting at my feet, wagging his little tail and watching every move I make. I am a bit grumpy, with my head full of all the important stuff I have to accomplish today, as I throw on some walking shoes and absentmindedly hook him onto his leash. Now his whole body is wiggling with excitement! I find myself drawn in by his joyful expressions and, if only for a short moment, I forget about all the deadlines and appointments. I find myself smiling as I open the door. I am grateful for my little dog. Our walks together are more than just a few minutes of exercise and an opportunity for him to go potty. Every day, I can find little tidbits of wisdom from being with my dog. Sure, his life is much simpler than mine, but the lessons still apply. Let me share some of the wisdom of the paws (pause) with you. 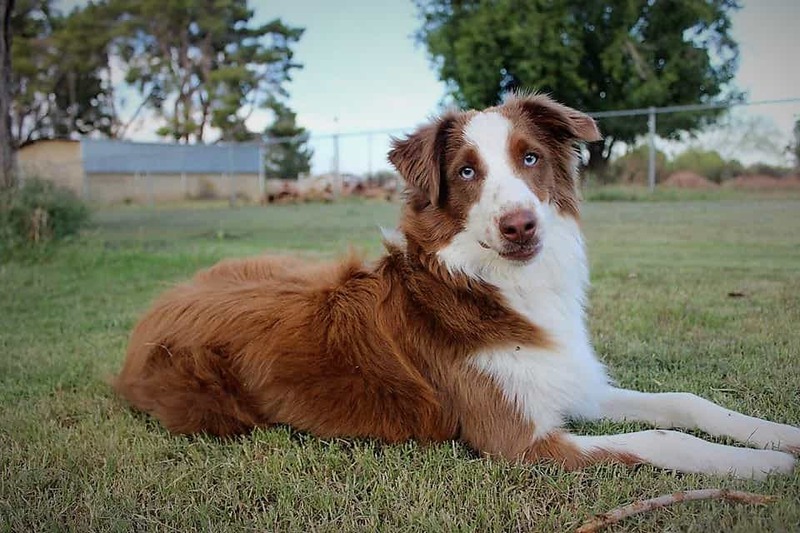 Instead of jumping out of bed with a mind full of all the dreadful things that need to be done and anxious feelings about not having enough time to do it all, my dog meets each new day with a joyful expectation and excitement. What if I made my first few thoughts about things that are joyful and exciting? It’s all about what you focus on, and the first few moments that you are awake truly set the tone for the rest of the day. So I tried this for a few days, and my world took on a different look. When the alarm goes off, I stop myself from thinking about the stresses of the day. Instead, I take a moment to just sit up in bed and think of two things I am excited about. Just two small things I look forward to―my sister is joining us for dinner tonight, and I am going to yoga class at 4pm. Next, I make a list of three things I am grateful for. I don’t make it too complicated, rather I think of simple things, like my health, the roof over my head, and my family that loves and supports me. When I am out walking the dog, I find myself in thought about what to do next. I make grocery lists, plan dinner, and think about my appointments. I notice my dog is jumping around, playing with butterflies. His joyful play brings me back into the moment. Immediately, my mood changes. My senses begin to fill with the world round me. I notice the sunshine on my skin, I smell the freshness of the morning breeze and see the colorful flowers by the roadside. This is called mindfulness. Mindfulness has become a big buzz word and many people think it is a complicated method to learn. There is a lot of research about its effects on the mind and its benefits for health and well-being. It’s proven to relieve stress and, actually, it is easy to do. I just slow down and bring my focus to my senses. I notice the smells, sounds, and sights; I become aware of my breathing and appreciate the world around me. Just becoming aware of one’s breath is a mindfulness technique and will automatically switch the body and mind into a calmer state of being. All of a sudden I notice that my dog is frozen and alert. Front paw raised, he cautiously sniffs the air in front of him. Now he is lowering his head and backing up slowly, as I get a glimpse of a snake slithering away under the bushes. My heart races and I call the dog over to me and scoop him up into my arms. I am so grateful that he knows to trust his instincts! I only saw the snake for a moment, but it surely looked like a rattlesnake and my small dog could easily have been bitten, had he gone after it. After my heart stops racing and we move on, I think about myself and how I get into situations at work that don’t feel right. Too often, I just push the gut feelings aside and rely solely on my rational thinking. Many times, in situations like this, I find out later that it would have been better not to proceed so quickly. Sometimes it’s in everyone’s best interest to stop and back off for a moment. Life is complicated and full of responsibility, but there are simple truths that apply to all of us. I, for one, find myself contemplating the little life lessons I learn from my beautiful dog. I hope you, too, can benefit from the wisdom of the paws (pause). Celebrate each day as a new beginning, take time to enjoy life by being in the moment, and start to trust your instincts as well as your rational thinking when making important decisions. Until next time, Keep Your Paws on the Road! 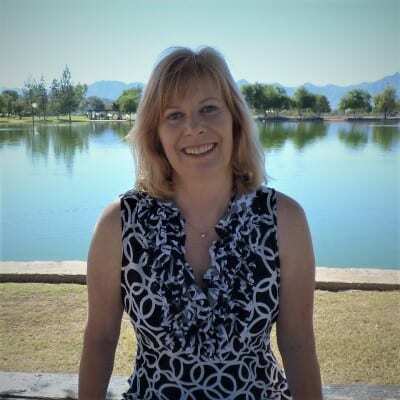 Birgit Walker is a German native living the life as a freelance writer in Phoenix, Arizona surrounded by her three amazing dogs and incredible husband, Jim Walker. Together they are always up for adventure and love to travel. Birgit enjoys searching out new experiences for them. Out of this love for travel and adventure came the idea of writing their first book together. Keep Your Paws on the Road―A Practical Guide to Traveling with Dogs combines Birgit’s love for travel with Jim’s expertise in dog training. Their favorite dog adventures include paddle-boarding in Montana, biking in Idaho, walking the beaches of California, and hiking in Oregon. 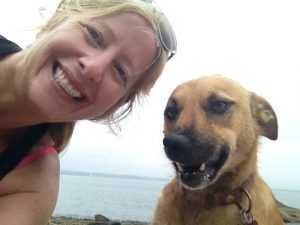 When she isn’t planning new dog-friendly adventures, you can find Birgit writing on her blog Keep Your Paws on the Road, a site that shares recipes for dog treats, reviews dog-friendly travel, and shares dog training tips. You can follow Birgit and Jim on their website Modern Canine Services.com.